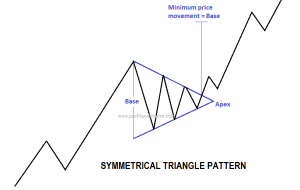 The Symmetric triangle is considered a trend continuation pattern and may be formed in both up trends and downtrends. 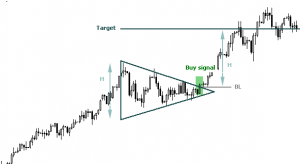 The direction of the trend preceding the pattern’s appearance is confirmed in case of its occurrence on the chart. 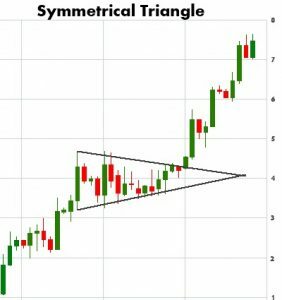 The Symmetric triangle is characterized by a narrowing price range between high and low prices, visually forming a triangle. The main distinctive feature of this type of triangles is that it has a descending trend line (resistance) connecting lower and lower highs and an ascending trend line (support) connecting higher and higher lows. 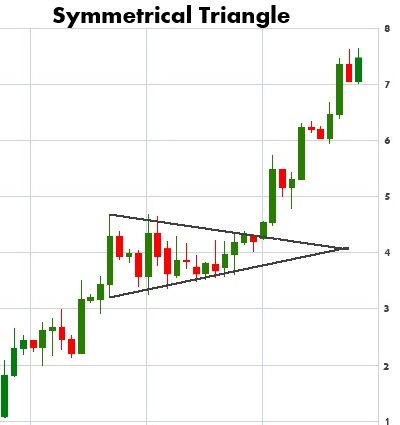 The trend lines’ angles are roughly the same. 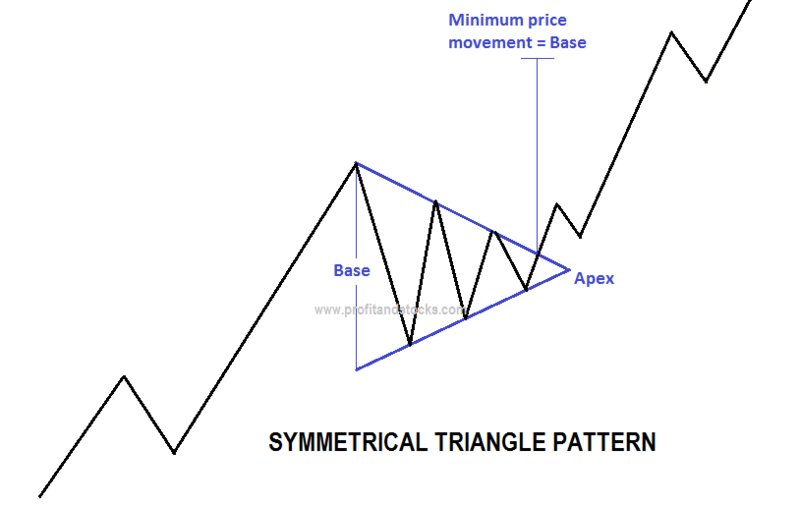 As a general rule, prices should break out in the direction of the prior trend some-Where between two-thirds to three-quarters of the horizontal width of the triangle If prices remain within the triangle beyond the three-quarters point, the triangle begins to lose its potency, and usually means that prices will continue to drift out to the apex and beyond.